When you hear some talk about the problems veterans face when they come home from where we sent them, Paul Sullivan of Veterans for Common Sense should be at the top of the list of people they interview because he has been behind most of the changes the VA has made over the last few years and it took him a lot longer to get them to change. Confirmed: CBS News "60 Minutes" will broadcast the first-ever investigation into the endless delays and red tape veterans face obtaining disability benefits from the Department of Veterans Affairs. In 2002, before former President George W. Bush started his ill-fated Iraq War, Veterans for Common Sense warned that VA was unprepared to meet the needs of additional veterans when VA was already overloaded with patients and claims. What happened at the Veterans Benefits Administration (VBA) - the VA agency that processes disability claims - was beyond our worst nightmare. And "60 Minutes" has the story. Now, more than one million veterans are now waiting . . . forced to wait an average of six months for a disability claim decision from VBA. Please visit our web site to see the preview of the "60 Minutes" segment. Please share this e-mail with everyone you know - veterans, family, and friends - so they can watch this important "60 Minutes" news broadcast on Sunday, January 3, on CBS. 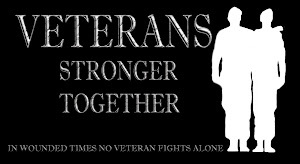 Please visit our web site with facts about our landmark lawsuit against VA, including VBA's long-term, systemic problems. Thursday, December 31, 2009 at 12:01 a.m.
FEDERAL COURT— David Vincent Weber arrived last month at a Ramona Veterans of Foreign Wars event in style: two stars on his shoulder and two Purple Heart medals pinned on the front of a Marine Corps uniform. Weber, 69, appeared in a federal courtroom in downtown San Diego yesterday with considerably less pomp. He faces a charge under the 2005 Stolen Valor Act of wearing military medals he didn’t earn while passing himself off as a Marine major general at VFW Post 3783’s birthday celebration for the Corps. Weber didn’t enter a plea, was allowed to post bail and was appointed an attorney at federal government expense during a hearing in U.S. District Court. William Miller's final errand was supposed to be a good deed, helping his estranged wife with car trouble. The Marine sergeant left home one night in 1972 and within the hour was found dead on a rural road. Thirty-seven years later, three people face trial on murder charges for what prosecutors say was an ambush triggered by a love triangle around Miller's wife and violence between Marine pals. The case remained unsolved until Miller's sister contacted a newspaper reporter looking into cold cases and the resulting investigation elicited new information from a 1970s baby sitter. Miller's ex-wife Vickie Babbitt, 58, is scheduled to go to trial in March on charges of first-degree murder and conspiracy to commit murder. Also charged with murder and conspiracy are George Hayden, 57, who married Babbitt after Miller's death and later became a small-town police chief, and Rodger Gill, 56, an ex-Marine who was friends with the others. The following was written by a woman of great courage and compassion. Her courage is evident in this heartbreaking article. Her compassion is known to me because she is a good friend. Carissa founded Military Spouses for Change and then later, renamed it to Military Spouses of America. I was on the board of directors and very proud of all the work Carissa did, and still does for military families. Most of the time when a spouse talks, it is long after the service member has left the military. It is when they feel free to open up. In this case, Carissa is still living on Fort Hood with her children, opening herself up to more judgments and attacks because she lifts the curtain, letting the rest of us know how hard it is on military families. Too often forgotten when we report on the rates of PTSD, suicides and attempted suicides, we forget about the families they leave behind, just as we forget about the fact half of civilian marriages end in divorce without half the problems the military families have. I am also sure many military spouses will feel grateful she did this, said what they would not dare talk about. The next time you read a story about how grateful Americans should be for those willing to serve this country, maybe, just maybe, you can also offer a prayer of thanks for the families standing where few will ever see. "The blood and tears shed in houses back home aren't tallied by the Department of Defense even though these losses are casualties of the same wars that were being ‘fought over there' so they wouldn't ‘be fought over here.' I think the...reasoning was fundamentally flawed. Both wars are being fought on two fronts, but America only recognizes one." Carissa S. Picard, Esq. Ironically, it would be at the largest military installation in the United States that I would come to know loneliness and isolation better than the man who brought me there. This stranger who was rarely home was the very person who "defined" me as well as justified my presence at Fort Hood. Once I married Caynan, I was no longer Carissa, I was Caynan's wife. My tasks, outside of raising our children, generally revolved around the navigation of the unspoken interstitial space of the Army wife-being neither here nor there, neither this nor that. Or, put more plainly, learning how to live your life when you are no longer a civilian, but you are not a soldier either. I wasn't a photograph, I was its negative. I wasn't sure what I was anymore, but I always knew what I wasn't. I wasn't a practicing attorney. My license was in Maryland. I wasn't a voice for myself, my family, or other military families. Soldiers speak for their families. I wrote the occasional blog or op-ed, until my husband threatened to divorce me if the writing didn't stop. Advocacy from within was a career killer. Apparently, it was a marriage killer as well. Every species has to adapt or die. In my muddled attempts to survive the last eight years, I learned to engage in covert warfare, practice collateral damage control, manipulate pain management, and master the rules of dis-engagement. Landmines abound and I am not without battle scars. The blood and tears shed in houses back home aren't tallied by the Department of Defense even though these losses are casualties of the same wars that were being "fought over there" so they wouldn't "be fought over here." I think the Administration's reasoning was fundamentally flawed. Both wars are being fought on two fronts, but America only recognizes one. 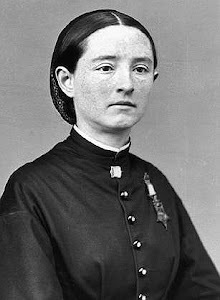 WASHINGTON (Dec. 30, 2009) - Secretary of Veterans Affairs Eric K. Shinseki announced today the Department of Veterans Affairs (VA) has selected the Frazier International History Museum in Louisville, Ky., as the new home of the Bloedner Monument, the nation's oldest Civil War memorial. The Bloedner Monument was removed from Cave Hill National Cemetery in Louisville in December 2008 and taken to a temporary facility where it was professionally conserved by Conservation Solutions Inc. to arrest further damage. "The removal of an important monument from a national cemetery is rare and was not undertaken without great deliberation," said Secretary Shinseki. "However, the overwhelming significance of the Bloedner Monument and its failing condition warranted this unusual step." The monument was carved in January 1862 by Pvt. August Bloedner to commemorate his fellow soldiers of the 32nd Indiana Infantry, all of them German immigrants who fell in the Battle of Rowlett's Station near Munfordville, Ky. The monument's original location was on the battlefield, marking the graves of 13 soldiers who perished there. When most of these remains were removed to Cave Hill National Cemetery in 1867, the Bloedner Monument was moved there as well. VA historians, in collaboration with the Kentucky Heritage Council and Heritage Preservation Inc., selected the Frazier International Museum as the new home from three interested facilities based on Civil War exhibit plans, controlled environment and security, financial stability, annual visitation and proximity to Cave Hill National Cemetery. The monument was fabricated from St. Genevieve limestone, with a base of Bedford limestone added in 1867. It measures approximately 5 feet long, 1 foot deep and 3 ½ feet high. The monument is carved on one side with a relief of an eagle and an inscription in German in a rustic script. The text was approximately 300 words and 2,500 characters long at the time it was carved. Because of the poor quality of the limestone and effects of the environment, the monument has lost a significant amount of material. Only about 50 percent of the original carving and inscription remains. The monument was temporarily relocated to a University of Louisville facility for treatment while VA conducted a thorough evaluation of potential sites. The evaluation process included written proposals and site visits. VA posted information on the Internet, mailed information to Veterans and Civil War heritage groups and held a public information meeting to solicit suggestions. A new monument, with an interpretive sign explaining the significance of the original Bloedner Monument and indicating its location, will be placed at Cave Hill National Cemetery in 2010. FAIRBANKS, Alaska — A Fort Wainwright soldier faces a felony weapons misconduct charge because police say he fired several shots through an apartment wall after a dispute with his wife. A suicide bomber infiltrated a CIA base in eastern Afghanistan on Wednesday, killing at least eight Americans in what is believed to be the deadliest single attack on U.S. intelligence personnel in the eight-year-long war and one of the deadliest in the agency's history, U.S. officials said. The attack represented an audacious blow to intelligence operatives at the vanguard of U.S. counterterrorism operations in both Afghanistan and Pakistan, killing officials whose job involves plotting strikes against the Taliban, al-Qaeda and other extremist groups that are active on the frontier between the two nations. The facility that was targeted -- Forward Operating Base Chapman -- is in the eastern Afghan province of Khost, which borders North Waziristan, the Pakistani tribal area that is believed to be al-Qaeda's home base. U.S. sources confirmed that all the dead and injured were civilians and said they believed that most, if not all, were CIA employees or contractors. At least one Afghan civilian also was killed, the sources said. (CNN) -- Eight Americans were killed in a suicide bombing Wednesday at a military base in eastern Afghanistan, according to a U.S. military official and a U.S. Embassy official. PADUCAH, Ky. — Spc. Mark May sat on the Motel 6 bathroom floor, crying and kissing his newborn daughter as he rubbed her frantically with a towel. "Breathe, baby, breathe!" he told her. When Amby Lynn May cried Tuesday morning, it was one of the most beautiful sounds he ever heard, he said. Ambys mother, Amber May, 22, of Morehead, wasn't due to have Amby until Jan. 18. She'd even taken precautions to make sure an early arrival wasn't imminent. Before agreeing to drive her husband to Paducah to leave with the Kentucky Army National Guard's 2113th Transportation Company, Amber visited her doctor Monday. "Everything is fine," he told her. The Mays decided to drive to Paducah on Monday because Mark May, a construction and combat engineer, was supposed to be at the Paducah armory at 9 a.m. The unit was home on Christmas leave, but left Tuesday morning for training at Camp Shelby, Miss., in preparation for deploying to Iraq later this year. I get asked a lot of times why I do what I do. This time, I turned the question around and asked a National Guardsman why he does what he does. "I do it to help." "Because I can, to give back." and then the real answer came out. He was compelled to do it. 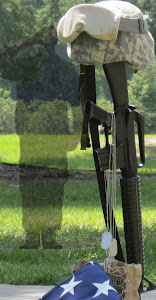 It came from inside of him, a tug he felt for a long time before he joined the National Guards. It's what is behind the decision to do anything for other people no matter what place we take doing what is needed. From the people going to work for charities, determined to make the lives of strangers better at the same time they end up making less money because it's a charity. The emergency responder willing to face any kind of weather condition, rush into where everyone else is running away from, just to be able to make a difference in someone else's life and maybe save a life. The firefighter, the police officer, the men and women in our military, all the way down to the next door neighbor always ready to show up when you need some help with something. All of them want to make a difference in this world. Each one called to their own path of getting to their own place in this country. Everyday people willing to risk it all and when the job is done, they end up having to still take out the trash, clean their bathrooms and figure out what to have for dinner. You can just imagine them standing in their kitchen with the usual family talk. "What did you do today?" "I got a cup of coffee, saved a life and then picked up pizza." 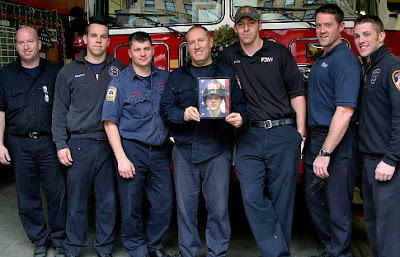 We forget they have the same kind of routines the rest of us do, the same kind of chores to do and problems to face, but they are playing real life heroes everyday as well. I do what I do because I can but above that, because I know what a real hero looks like, sounds like and have heard more than a thousand times to not address any of them as a hero because they turn it around and say "I'm only doing my job" and they want it to be seen only that way. They don't want us to treat them any differently but what they don't see is that they are so different from the rest of us. We pretty much take care of our own problems, in our own lives but they do all that and usually after they've taken care of the rest of us. God compelled me to do this but I have not risked my life to do it and that is the biggest difference of all. They risk their lives everyday so the least we can do is to help them recover from what they have to go thru in order to do it. I'm only doing a small part. When I look on the net about what others are doing across the country, I am amazed and humbled by it. The motorcycle clubs showing up to honor the return of soldiers or for a funeral of a fallen soldier. The elderly groups showing up at airports to send off more being deployed as well as welcome others back home. The veterans taking charge of service groups to help other veterans. The people working in shelters so that one less veteran will sleep out in the cold another night. The people volunteering to give out hot meals, not just during Thanksgiving or Christmas, but everyday of the year when no one else is looking, no media showing up to take pictures. Moms and Dads of fallen soldiers showing up in Washington to testify constantly amaze me because while they could just focus on their own loss, they think of others and try to make a difference to strangers' children. This nation is filled with quiet heroes but you don't read about them all the time or see a local news report about what they are doing enough. The terrible things people do get a lot more attention. The truth is, there are so many more doing good things for others than there are trying to hurt, take away from or take advantage of, that there would just not be enough hours in the day to report about all that is being done for the greater good than the acts committed by the selfish. 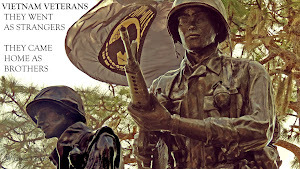 Take heart that all is still well in this country, even with the problems all of us have, because even with those problems all of us have, there are real heroes taking on our burdens on top of their own. That's what's great about this country and for this we are all truly blessed. One of Florida's leaders in helping our troops and veterans sent me this alert on a send off for Florida's National Guardsmen. If you can attend it, it would be a wonderful thing to do. A full service Veteran Service Center and Traveling Mobile Veterans Center. The South Florida Veterans Multi-Purpose Center (VMPC), is unique. 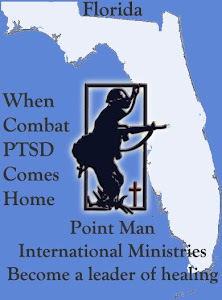 It was started by Veterans in 1989 out of a single desire to help and benefit all Veterans and their families in South Florida. Since the granting of its IRS 501(c)(3) Tax Exempt status in 1991, the Center has been involved in a broad base of Veteran services. 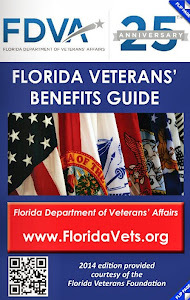 The Center works closely with the VA and other government agencies as well as the public and private sectors to provide quality services and benefits to Veterans throughout Florida. 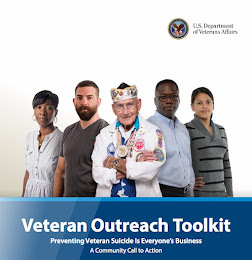 Provides professional referral and outreach services to Veterans utilizing public, private, and government organizations. Owns and operates a Mobile Veterans Center that travels throughout the state and participates in community based Veterans' events. Funds food programs for Indigent Veterans and their families. Partnerships with other non-profits for the sole purpose of providing transitional housing for homeless veterans. 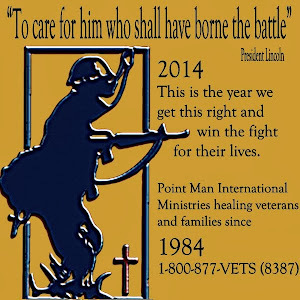 Provides a substance abuse and recovery program for Veterans. Doesn't have special eligibility requirements for veterans to receive services. I am including the information on the departure of our National Guard unit. I'm sure some of you already have this information. We want a good turn out to send off these men and women and to let them know we care and are proud of them. ROCKAWAY -- The Naylor living room is all playroom, cleared to toddle, cuddle and roll. But when Dad's home, the children often head to the back bedroom to play quietly with Mom. DENVER (Dec. 29) - Mike Hermanstorfer was clutching his pregnant wife's hand when her life slipped away in a Colorado hospital on Christmas Eve, and then he cradled his newborn son's limp body seconds after a medical team delivered the baby by cesarean section. Minutes later he saw his son come to life in his arms under the feverish attention of doctors, and soon he learned his wife had inexplicably come back to life. CHARLESTON, W.Va. — A wrong turn directed West Virginia soldiers to helping an Iraqi baby see for the first time. Army National Guardsman Jason Hickman was part of a convoy five months ago that accidentally ended up in the village where Noor Hassam Oudah was visiting her uncle. Although the infant’s congenital cataracts could be corrected, her family in Baghdad couldn’t afford to have the surgery performed. Hickman asked for donations from fellow soldiers and friends and family back home to West Virginia. After raising $5,000, Noor had surgery Nov. 15, three days before her first birthday. Hickman said he doesn’t believe in coincidence or destiny. He believes God puts people in certain places at certain times and all one has to do is watch for the signs. They are the highest in history. Is there really any difference as to how they died? (MOLALLA, Ore.) - I am appalled beyond repugnance to even read my own title. It seems that the Army, Marines, Navy and Air Force all have the same problem but the Infantry really gets it in the rear echelon. They won’t accept one into the service with ANY vestige of MENTAL DISORDER. Then they drive him crazy enough to kill himself, then they call it ADJUSTMENT DISORDER and a pre-service condition and it is all the suicide soldier or Marine's weakness. I have posted many articles about Infantry craziness on Salem-News.com. One more will just further indicate my disgust. For the past 4 years the Army has had at least 100 suicides per year, probably many more, with about ¼ in Iraq (less total troops). This is much higher than civilians of the same age group. Are you surprised?!? You shouldn’t be!! CANTON — Derrick Busto left two small children when he was shot to death Sunday morning in Jackson Township by the ex-husband of the woman he was dating. His younger child, a son, is 2. His other child is an 8-year-old daughter, Harmony, who still doesn’t comprehend that her father is gone, said the girl’s mother, Kelly Henson, who’s also Busto’s ex-wife. She said Busto was a good father who last summer helped coach their daughter’s softball team. A police officer survives being shot at point blank range due to his badge. WMC's Lori Brown reports. The Pentagon's interpretation, which veterans groups are challenging, is laid out in two memos written in 2008 by David S.C. Chu, who was undersecretary of defense for personnel and readiness. SEATTLE – The law enforcement community is mourning another loss after Pierce County Sheriff's Deputy Kent Mundell, critically wounded in a shootout a week ago, died Monday night. Mundell's family was at his side Monday evening at Harborview Medical Center when doctors turned off life support. Officials say Dep. Mundell passed quickly and died at 5:04 p.m. Dozens of deputies and police officers from at least six law enforcement agencies filed into Harborview Monday afternoon in the hours before Mundell died. 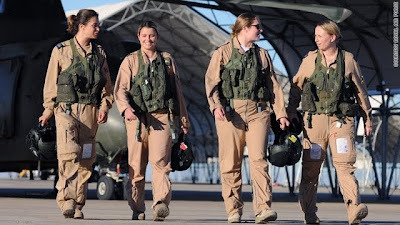 The other three are pilots Flight Lt. Michelle Goodman, 32, the first woman to win Britain's Distinguished Flying Cross for her actions in Iraq; Flight Lt. Joanna Watkinson, 29; and loadmaster Sgt. Wendy Donald, 31 (pictured left to right after Cole). Three others are still in training. PEARL HARBOR, Hawaii — The mottled brown skull and other remains — a lower jaw with eight teeth and a pair of fillings, seven right side ribs, part of a pelvis and some arm and leg bones — showed evidence of dirt and looked like they were buried at one time. It’s up to forensic anthropologists like Gregory Berg to build from the ground up the U.S. service member who died in North Korea more than half a century ago. There are plenty of challenges to doing so faced by the Joint POW/MIA Accounting Command, but there’s been a big advance relating to Korean War fallen, and a new Pentagon impetus to speed up all identifications. In September, the Hawaii-based accounting command, charged with investigating, recovering and identifying missing U.S. war dead, opened a new lab at Pearl Harbor devoted to identifying Korean War remains. About 8,100 Americans remain missing from the Korean War. The October 2000 terrorist assault on the USS Cole killed 17 sailors and injured 39, among them Petty Officer 3rd Class Johann Gokool of Homestead, an electronic warfare technician who lost his left leg. Last Wednesday, a week after his 31th birthday, Gokool transitioned from survivor to victim. Relatives say he died in his bed, apparently during one of the violent panic attacks that had plagued him since the incident. His younger brother found Gokool about 7 p.m. on Dec. 23 in the house they shared. Medical examiners still haven't said what killed him, but relatives believe that a deadly attack stopped his heart. The U.S. Navy classified Gokool 100 percent disabled due to Post Traumatic Stress Disorder (PTSD). The attacks came without warning, lasting from a few minutes to hours, and because of them, Gokool couldn't work, drive or even bowl -- his favorite pastime. What is she asking for that could be viewed as any kind of issue? She wants to make sure she can be buried with her son and that's all. Why is this a problem at all? This is what she feels will give her a bit of comfort while she still lives. Is this too much to ask for? WASHINGTON — Denise Anderson lost her only son in the Iraq war. She’s determined not to lose her fight to be buried with him in a national veterans cemetery. Army Spc. Corey Shea died Nov. 12, 2008, in Mosul, with about a month left on his tour of duty in Iraq. He was buried at the Massachusetts National Cemetery in Bourne, about 50 miles from his hometown of Mansfield, Mass. A grieving Anderson, 42, soon hit an obstacle in her quest to be buried in the same plot with her son. That chance is offered only to the spouses or children of dead veterans; Corey Shea was 21, single and childless. The Veterans Affairs Department grants waivers and has approved four similar requests from dead soldiers’ parents since 2005. Anderson also sought a waiver. But under the VA’s policy, she has to die first to get one, a limbo that Anderson finds tough to live with. A National Guardsman's mom contacted me a while back. She was at her wits end. By the time she found me, her son had tried to commit suicide twice. 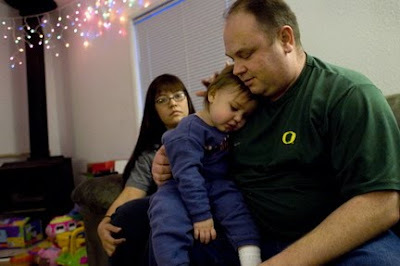 His young family had fallen apart and he was divorced with two young children growing up without their Dad at home. He was being treated for PTSD, or should I say medicated for it because he did not receive therapy, had very little understanding of what was happening inside of him, living on the couch of a friend and wondering why he ended up the way he did. His wife couldn't understand either. His Mom was lost, feeling confused finding out her son, the son she knew all of his life, was more like a stranger to her. She felt helpless, hopeless and alone not knowing where to turn or why she needed to do anything above worrying about her son. She understands what PTSD is and he is now healing from the burden he's been trying to heal from. They have a long way to go but at least they are on the right track now. This happens all the time. They leave home with one personality and return as strangers. War changes everyone. Being away in a strange land changes people but add in the chaos of combat, losing friends, seeing civilians die, no one returns exactly the same way they left. Some recover from it, changed ever so slightly. Others lose their identity, their faith, their trust and hope of recovering. As time passes, their condition worsens, they are turned away from everyone in their family, the government will not provide them with what they need to recover, whatever is left evaporates to the point where only anger lives. Had this Guardsman's family knew what was happening inside of him, the possibility of the family staying together would have been there but without the right kind of support the family needed, it all fell apart. 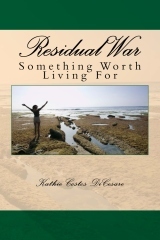 The Mom was able to understand PTSD and what she need to do to help her son. She was filled with regret because of all the years she didn't know what was happening to her son, but the truth was, she didn't know because no one ever told her. We read blogs like this and assume everyone knows what PTSD is and that it is a wound to the soul. Yet when you talk to people about it, they don't have the slightest clue what it is. I was talking to two women over Christmas weekend. One had a relative who acted strangely and the other woman worked with seniors in a hospital encountering many veterans. They said families don't understand it, turn their backs on the veterans or blame the veterans for how they act. None of this has to happen. The families are key to all of this. From the time when the veteran comes home changed, they are the first to notice it but too many don't understand what they are seeing. They are the first to see the symptoms but if they don't understand what is behind the symptoms, they think the worst. From self-medicating with drugs and alcohol, to withdrawing from the family and avoidance of any kind of activities they used to enjoy, they also deal with the nightmares and flashbacks. If they don't understand they blame the veteran instead of PTSD. They think they need to get rid of the veteran from their home instead of heal the veteran to save the veteran. 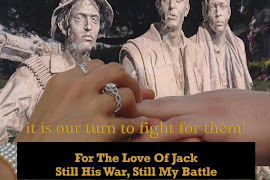 When they understand the love they have for their veteran turns them into an advocate fighting for what the veteran needs to heal and they demand it. The veteran loses the ability to fight for themselves, so they take over. They get doctors to listen. 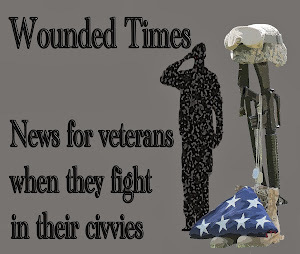 They get the service organizations to make sure VA claims are honored to the level appropriate to the wound. They make sure their kids understand what is going on and why their parent is acting the way they do and anyone getting in the way of their veteran healing had better be prepared for the wrath of a veteran's spouse. We can keep talking about the rise in divorce, the rise in homelessness, the rise in suicides and attempted suicides but until we talk about the fact most families have no clue what PTSD is, we will keep seeing these numbers rise instead of going down. This is what most of them are like. They don't complain. Most of them do not ask for any help at all and this is what should upset us the most. 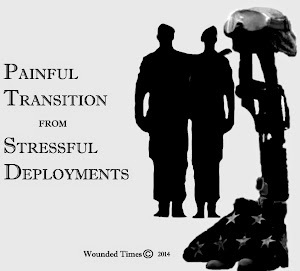 If it is a physical wound, the thought of getting medical attention to help them heal faster offers them hope of getting back on duty faster. They tough it out as much as they can, most of the time far beyond where an average person would attempt to do. 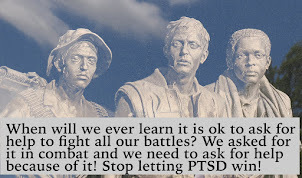 Yet when it is PTSD, they are the last to ask for help. When report after report came out that less than half of the servicemen and women with PTSD sought help, the rest of the nation should have noticed. Even today, there are people in this country under the delusion that "half of PTSD claims are bogus" because they failed to pay attention. They are human like the rest of us but they are willing to do what few of us will do, yet we stand in judgment of them. We convince ourselves that the DOD and the VA are doing everything possible to take care of the wounded, as long as we don't have to lift a finger or heaven forbid, pay a few extra dollars on our taxes to make sure we take care of the men and women we send to risk their lives. 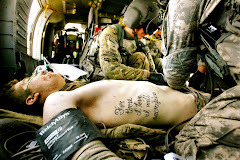 When you read this story, think about the type of people we're talking about while the rest of us whine, moan and complain about how hard our lives are, because for all the problems we have, they do as well, but we don't have to worry about getting wounded doing our duty because we let them do it all. He traveled within Iraq’s most volatile areas, but Sgt. 1st Class Robert Walker never thought he would be in even more danger on his own flight line. Walker inspected attack helicopters to ensure they were safe to fly and prepared to fight. Following a mortar attack at Balad Air Base in August of 2005, Walker went out to determine if his aircraft had been damaged. Attack helicopters are used to protect other aircraft, military equipment and, most importantly, personnel. While crossing the flight line, Walker’s vehicle was hit by a mortar. The non-commissioned officer was injured, but it would be years before he knew how severely his injuries would affect him. Despite continuous and intense pain in his neck and back, Walker served three consecutive tours in Iraq He wasn’t diagnosed or treated until June 2008. “I thought, give me a couple days, I’ll be alright. I’m a Soldier,” Walker said. Three years after the blast that left him in constant pain, Walker discovered he had a compression fracture of his neck, which would require surgery. After he was evacuated from Iraq, he underwent spinal fusion surgery, which left him with limited mobility and a metal plate in his neck. Any wrong moves before surgery could have left Walker paralyzed from the neck down. Clay Rankin, a police officer in suburban Denver, knew what it was like to kill even before he was sent to the Middle East in the first Gulf War. He and a fellow officer fatally shot a man who had taken a pharmacy clerk hostage in 1990. But a year later, the military police officer returned to his job as a civilian police officer with the Northglenn, Colo., Police Department with grim scenes of burning oil fields and charred bodies stuck in his mind. 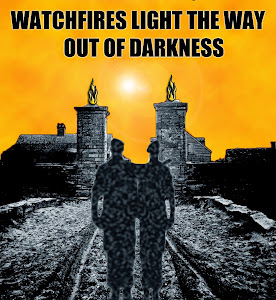 Old haunts, familiar streets and routine police work were distorted by the memories of war. He had nightmares, anxiety and flashbacks. He un-holstered his gun during routine traffic stops. One night, while sitting in his cruiser in a parking lot and completing paperwork, he heard a noise behind him. The department’s psychologist diagnosed him with Post Traumatic Stress Disorder. Rankin didn’t believe it. His symptoms had to be a reaction to the toxin gases he was exposed to during his tour. “I just chalked it all up — the nightmares, the flashbacks, my over-reactions — to the change, because you never come back the same,” he said. Although the police chief tried to find an assignment that would take Rankin off the street, it was not possible in a small agency such as Northglenn’s. He had no choice but to retire. Finally, in 1995, his marriage and family life strained by his recurring symptoms, he went to a veterans administration hospital looking specifically for PTSD treatment. In therapy, he learned techniques to manage his symptoms. His health and personal life improved. He started a private investigation business, which became successful. But at the start of the second Gulf War, Rankin’s passion for law enforcement led him to join the National Guard as a military police officer. He believed he was well enough to handle redeploying with his old unit to Iraq. He landed at Camp Udairi, in northern Kuwait at the Iraqi border, just as the ground war began. Standing in line at the PX in March, Rankin waited to get supplies needed to push north when a terrorist in a white pick-up truck plowed through the line. 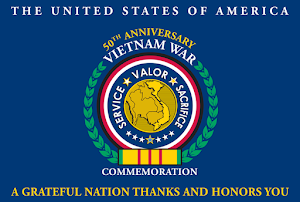 ALBUQUERQUE (KRQE) - Thanks to a generous donation, a new traveling memorial to honor New Mexicans killed in the Vietnam War will be built. Many New Mexican families will never get to make the trip to Washington’s Vietnam Memorial, and that's why many say the new memorial means so much. 399 soldiers will soon be memorialized on a traveling wall. The plan was to unveil the wall in March, but just weeks ago those spearheading the idea thought the dream would fail. Organizers were short about half the $20,000 needed to build it, until Daniel's Funeral Home stepped up and paid the rest. FORT LEAVENWORTH, Kan. — Army leaders who’ve been prompted to rethink tactics and war-fighting doctrines because of Iraq and Afghanistan also see a need to re-examine how they educate soldiers about ethics. Some of the interest in ethics is tied to the wars: the black eye of the Abu Ghraib prison scandal, concerns that stress from unconventional conflict leads to bad decisions, and, for at least one retired general, the sense that the military lost the public’s trust in Iraq. But some leaders also say the Army has worried for a while that it hasn’t been doing a good enough job of instilling strong ethics. Officials at the U.S. Military Academy at West Point, N.Y., and at Fort Leavenworth, home to the Army’s Command and General Staff College, are still in the early stages of developing the material they’ll blend into handbooks, papers, online presentations and videos they use to train soldiers. Officers involved in the effort say that eventually a soldier’s grounding in ethics — strong or weak — will become a factor in promotions. The Army’s efforts to rethink its training on ethics received a boost this fall, when Texas billionaire and two-time presidential candidate Ross Perot pledged $6.1 million to a private foundation supporting programs at Fort Leavenworth’s command college. One result is a new chairmanship in ethics — the kind of post universities set up for academic areas they deem important. ABILENE, Texas — Larry and Sue Farr are on a mission to make sure all military men and women know they are appreciated for their sacrifices made in the service to their country. The Farrs have designed and developed the “Not Forgotten” coin to distribute among veterans, service members, and friends and family who want to hand them out to their loved ones. The coins are made of copper and have a flag and a cross on both sides, with the phrases “In God We Trust” and “You Are Not Forgotten,” on each face. The idea came to Larry Farr back in January, during a meeting of his church group. Initially, he thought of a coin that airmen at Dyess Air Force Base could use on base to get a cup of coffee. “That was not enough,” said Larry Farr, who is on the Military Affairs Committee of the Abilene Chamber of Commerce. NORTHAMPTON, Mass. (Dec. 28) -- Local and state authorities in Northampton, Mass., are investigating a string of suspicious fires that killed two people and left residents shaken, officials said Sunday. STARKVILLE, Miss. (Dec. 28) -- Nine people, including at least six children, died early Monday in an apartment fire, officials said. The blaze was reported around 4 a.m., according to Oktibbeha County Coroner Michael Hunt. He and state Fire Marshal Mike Chaney confirmed the deaths. "All I can tell you is we had a fire in one of the older apartment buildings," Starkville Fire Chief Rodger Mann said. "That's about all I can say. When a fatality is involved, things move a lot slower." FORT HOOD, Tex. — The day after a gunman killed 13 people here last month, Lt. Gen. Robert W. Cone, the post’s commander, fired off an e-mail message to an unusual audience: local advocates for disaffected soldiers, deserters and war resisters. “I am told you may be able to help me understand where some of the gaps are in our system,” he wrote. Last week, those advocates put General Cone’s offer to a test. A specialist who had deserted last year wanted to turn himself in. Would the general help the soldier, who has post-traumatic stress disorder, get care? For years, Fort Hood has been an emblem of an overstretched military, with long deployments and combat-related stress contributing to rising numbers of suicides, divorces, spousal abuse and crime, mental health experts say. Now, after the Nov. 5 shootings, the post is trying to show that it has another side, one that can care for its frailest and most battle-weary soldiers. For the last month, the Pentagon has dispatched scores of psychologists, therapists and chaplains to counsel soldiers and their families, and bolster the post’s chronically understaffed mental health network. It has overseen the creation of a new system of trauma counseling. And it has pledged to speed the hiring of dozens of permanent new mental health specialists. But the stepped-up efforts, while welcomed even by critics of the Army’s record in dealing with combat-related stress, are also seen as a test of its resolve to break with the past. Making change stick remains a challenge not just for Fort Hood, but the entire Army, as it struggles to improve care for its rising tide of deployment-strained soldiers. ENFIELD — - A woman at Jessica Keller's church — the wife of a Vietnam veteran and mother of their four children — told Keller that she spoke to her husband only once during his yearlong tour of duty. Keller said that made her see how fortunate she has been. While Maj. James "Jake" Keller served in Afghanistan last year, he and Jessica e-mailed each other every day. They also spoke every week by phone and even had a few video conversations over the Internet. Through regular mail, Jessica Keller sent her husband drawings from their two young daughters and sent pressed leaves in the fall to remind him of his Connecticut home. "It's good just to hear that life is actually normal back in the real world," Jake Keller, a National Guard soldier, said, "knowing that you've got something to look forward to once you get out of there." The Kellers say that constant contact helped them adjust and carry on when Jake Keller returned from his yearlong tour two days after Christmas in 2008. People who counsel returning service members and their families say that the ease and variety of modern communications have helped with the homecoming adjustment. "Overall, more communication tends to be better than less communication," said Joseph Bobrow, executive director of the nonprofit Coming Home Project (cominghomeproject.net), which provides counseling and support for service members and their families. Still, communication can't smooth every jagged patch caused by long separation and the brutality of war. Keller had a relatively easy return to family and work, but some service members travel a tougher road home. "There are many, many challenges," Bobrow said. 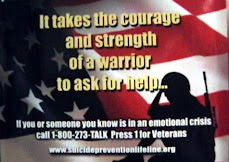 "The first is that the service member may be home physically, but they're not home emotionally, spiritually, mentally. They haven't begun to process all that they've been through. Getting home takes quite a bit of time." An Army lieutenant from North Tonawanda who expected to be deployed to Iraq within a few months was killed Saturday morning in a car crash on the Thruway in Chautauqua County. Jordan A. Bunker, 24, a University at Buffalo graduate who was a former co-captain of the North Tonawanda High School football team, died after he lost control of the car at about 10:10 a. m. and hit a guardrail in the Town of Hanover. State police said Bunker’s girlfriend — Audrey Brackett, 25, of Fort Knox, Ky. — was taken to Lake Shore Hospital in Irving for treatment of injuries that were not life-threatening. Bunker, a second lieutenant stationed at Fort Knox, had spent Christmas week in North Tonawanda, visiting family and friends, according to his father, Daniel Bunker of North Tonawanda. WESTCHESTER, N.Y. — They kind of look like soldiers, standing in The Westchester mall in their store-bought camouflage fatigues. But they aren't. The first hint that they have nothing to do with the military is that their "uniforms" bear no rank, insignia or unit patches. The dead giveaway comes when they ask you for a cash donation to help veterans — active-duty service members are prohibited from panhandling. For the past several weeks, members of the Veterans Service Organization have been soliciting money at The Westchester and other Lower Hudson Valley sites, claiming that they're providing holiday meals for local homeless veterans and making donations to veterans hospitals and other local programs to help veterans. The fact is, 25 percent to 30 percent of what they collect goes into their pockets, as part of what the VSO describes as a "work program." The group's founder admits that many members have never served in the armed forces and could not provide proof that the VSO has made any contributions to local veterans. 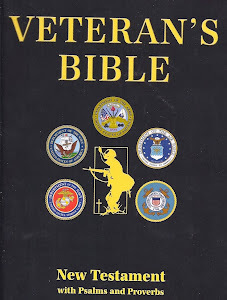 Financial records obtained by The Journal News show that about 31 percent of the more than $1 million they took in annually nationwide in 2007 and 2008 went to veterans assistance and services. Much of the rest is listed as "programs" expenses used to pay for rent and office supplies, travel costs, subcontractors and compensation for VSO executives. Two new studies seem to provide more evidence that post-traumatic stress disorder is a chemical change in the brain caused by trauma — and that it might be possible to diagnose, treat and predict which troops are most susceptible to it using brain scans or blood tests.In one study, Christine Marx of the Duke University Medical Center and Durham Veterans Affairs Medical Center wondered why PTSD, depression and pain often occur together. Researchers already knew that people with PTSD show changes in their neurosteroids, which are brain chemicals thought to play a role in how the body responds to stress. Previous animal studies showed that blood neurosteroid levels correlated to brain neurosteroid levels, so Marx measured the blood neurosteroid levels of 90 male Iraq and Afghanistan veterans. She found that the neurosteroid levels correlated to symptom severity in PTSD, depression and pain issues, and that those levels might be used to predict how a person reacts to therapy, as well as to help develop new therapies. Marx is researching treatment for people with traumatic brain injuries using the same kind of brain chemical, and early results show that increasing a person’s neurosteroid level decreases his PTSD symptoms. Marx’s work was funded by the Veterans Affairs Department, National Institutes of Health, Defense Department and NARSAD, an organization that funds brain and behavior research.A second study, conducted by Alexander Neumeister of Yale University School of Medicine, found that veterans diagnosed with PTSD along with another syndrome, such as depression, alcohol abuse, substance abuse or suicidal ideation, had different brain images on a CT scan than did those who had been diagnosed only with PTSD.Neumeister became curious after realizing that veterans dealing only with PTSD responded differently to treatment than did those with PTSD and another diagnosis. Romulus, Michigan (CNN) -- A Nigerian man is "talking a lot" to the FBI, said a senior U.S. official, after what the United States believes was an attempted terrorist attack on an inbound international flight. A marathon is one thing. Climbing a mountain is another. But try the equivalent of 38 marathons. And three mountains. Oh, and add a 35-pound pack to your back and some combat boots. Paul Cretella, a Serene Lake firefighter and former British paratrooper, is embarking on a yearlong effort to log 1,000 miles under just those conditions to raise awareness of the pain endured by wounded combat veterans. Cretella recalled an elderly man he met on one of his aid calls, a veteran who was wounded three times in the Korean War and who still deals with chronic pain. “Those guys coming back from Iraq and Afghanistan now are, 50 years from now, going to still be feeling the effects. … We need to do better for them,” Cretella said. He calls his odyssey Brothers in Arms 1,000 Mile Challenge and is taking donations for two nonprofits, the Florida-based Wounded Warrior Project and its UK counterpart Help for Heroes. Lining the banks of the Ohio River is one of Cincinnati's sadder secrets. People - tucked into cardboard boxes, tents and cobbled-together wooden structures hardly bigger than a doghouse. There are addicts and felons. There are also mothers and children. Altogether they are a band of lost souls, many of whom - having struggled with the outside world so long - are not looking to be found. Into this pocket of misery goes Jim Murphy, several times each week. The Vietnam veteran slings a backpack full of milk, baby formula, flashlights, bread onto the back of his wheelchair. He makes his way to the people in need, often getting stuck in the mud along the way. The riverbank dwellers trust Jim Murphy. They let him into their carefully camouflaged encampment and, more surprisingly, into their lives. He knows who struggles with addiction, and who with mental illness. He has seen a young woman in the last stages of AIDS reunited with her family from California. He has met the 3-week-old baby just born into the "community." When we read stories like this we know there is evil in this world. Someone so cold and uncaring would kill a man working to help others on Christmas Eve in front of his own children. Did they think about the people this man tried to help? Did they think of what this action would do to these children? It's a safe bet to think none of that mattered at all. At least not to the one willing to kill for what they wanted to take. As horrible as this deed was, we need to remember that this type of person is not the majority. They are forgettable. We read about them because what they do is so hard to understand because they are odd. We know this type of person is about taking what they did not earn, taking from others just because they can but they will never know what it was like to touch the heart of someone else, to be able to help someone in need and change their lives, to show compassion and mercy or what it is like to feel the love of God within them. They condemn all that is good because they have never known any of it. Coroner: "My heart goes our for the family"
(CNN) -- A Salvation Army major was shot dead in front of his three children on Christmas Eve in North Little Rock, Arkansas, authorities said. Maj. Philip Wise, 40, was gunned down Thursday. He was found lying by the back entrance of a Salvation Army facility, said police spokesman Sgt. Terry Kuykendall. Wise apparently dropped two bell ringers off at home and returned to the Salvation Army building with his three children, ages 4, 6 and 8. Two men carrying handguns approached them and demanded money before shooting Wise, Kuykendall said. Police received a 911 call at 4:17 p.m. Pulaski County Coroner Garland Camper said Wise's wife, Cindy, made the call from inside the building. Can your soul feel its worth after PTSD? PTSD strikes after trauma. That is the only way a person's life changes eventually changing the whole family. It is a wound to the soul, the home of our character, where all emotions begin. It is from our soul we feel and not our hearts no matter how many poets tied emotions to the heart. While believing the brain of a mouse can be compared to the brain of a man or woman seems wrong, at least this study showed the area of the brain where emotions live. The study also seems to prove what people have said all along regarding PTSD, that it is a deep wound. It is so deep it changes people. What adds to the cutting of the soul is feeling abandoned or judged by God as well as others. People walk away from traumatic events one of two ways. God saved them or God did it to them. They have to live with the memories at the same time they are struggling with why they were there, "why me" questions that can never really be answered, how could God allow it and how can they get over it the same way others seem to have been able to. As they try to fight off the changes in the way they think and react, they end up fighting the people in their lives because no one really understands what is the cause of the changes. When we live our lives with a belief system, this chain is broken after traumatic events. We can either feel so blessed by God nothing can hurt us or end up wondering what a lifetime of believing was all about when we are left suffering, feeling abandoned by or judged by God. We take on the guilt thinking if God condemned us, no one should love us. We push others away feeling unworthy at the same time we push them away trying to prevent further pain. When we're talking about men and women in the military, this human reaction is complicated even more by the facts of multiple traumatic events resulting from the intent to serve others. A noble calling followed by visions from hell. 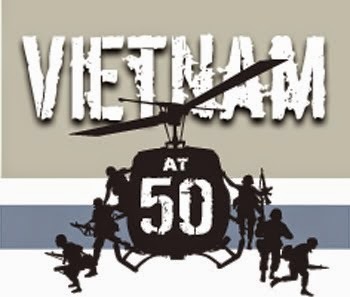 Up until Vietnam, some enlisted but others were drafted. 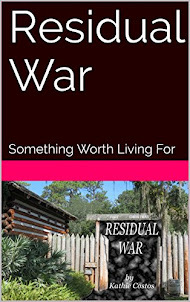 They were placed into combat unwillingly, perhaps into what God never intended them to do. When men and women enlist, they answer the calling from their soul and are equipped to defend themselves against horrific situations better than others, although not perfectly, especially when they were always compassionate people. The door to their soul is wide open and PTSD takes advantage of this striking the caring and avoiding the callous. The same holds true today when men and women serve in the National Guards. They intend to help their communities recover from traumatic events such as natural disasters, but they usually do not enter not the Guards with the thought of having to kill someone in order to save lives. God did not call them into the military and did not equip them spiritually to be able to take lives any more than He enabled firefighters to enter into law enforcement where they encounter an whole different demographic and situations. Each one of us have different places to take and each one comes into the world with different gifts. It is up to us to use those gifts the way it was planned or do it all our way and hope for the best. We are all human and only human. Each time something happens in our lives, it goes into forming how we think, feel, heal and grieve. It also goes into how we react for the rest of our lives. There is a whole family now suffering because one of them could not heal his soul. "He had seen too much." WATERLOO - Brandon Shepherd served two tours of duty in Iraq with the U.S. Army's 101st Airborne Division. He saw some of the worst combat of the war and survived. Until Memorial Day weekend. That's when Brandon Shepherd became a casualty of war. 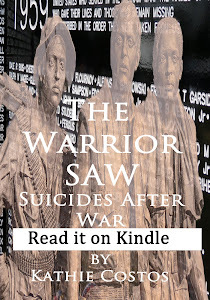 Diagnosed with post-traumatic stress disorder, he took his own life. He was found hanging from a tree on Park Road near flag-decorated Fairview Cemetery. His Army boots were at the base of the tree. By all accounts, he came from a military family. Do you really think no one in his family could be able to understand what was happening to him? Too often, we find it impossible to ask for help. We would rather have people think badly of us than to have them think we are failing. Just as many would rather be thought of as a drug addict or alcoholic, instead of having PTSD and self-medicating so they will feel nothing. Think of your own lives and how difficult it is to ask family and friends for help, emotionally or financially or spiritually. When someone in our family dies, it is obvious we need them around us to grieve with us but when a part of ourselves dies, we don't want anyone to know. We just try to hide it, hide the pain, do anything other than allow anyone to "feel sorry for us" for what we are no longer able to be and for what we wish they could still see within us. Families see changes but they don't know what it is, what they can do to help and things keep getting worse. We lose the ability to see the worth of our own soul. 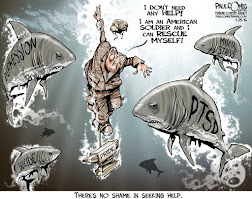 When veterans are carrying PTSD in their soul, they forget they are still a good person because other than the pain they feel, the only safe emotion to let out is anger. Anything else can hurt too much to show. A compassionate person will stop acting as if they care about anyone other than themselves. The truth is, they lost the ability to care enough about themselves because they no longer know "who they are" inside their own skin. Nothing makes sense anymore. Not the belief system they had, not the fact their family and friends loved them, not the capacity of their mind to think things thru or the courage of their spirit to do what they did, when they did it and with all they had within them to accomplish it. They are lost within their own bodies, strangers within their own homes and enemy to their own heart. All of this goes on until one day, someone says the right thing, the right set of circumstances leads them or enough support comes, when they are finally willing to ask for help. When this day comes, they release the burden they have been carrying alone. They swallow their pride and reach out their hand. Their families once more see them with clear eyes and they know there is pain there and not the anger they had been showing. The soul feels its worth. When we read about the life of Christ, the miracles He made happen, the hope restored, the lame walking, the hungry fed, the deaf hearing, the blind seeing, we tend to not see the changes in their souls as well. Each person Christ healed was not just changed according to their weakness, but their strength was changed as well. 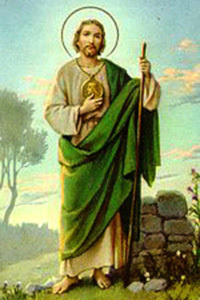 Knowing the power of God's love for us, no matter how evil, no matter how guilty, no matter how unlovable we feel about ourselves, finding God loving us despite all of it gives us a sense that it is not so impossible to heal, to find worth within us, to love again, feel again, try again and even to feel joy again. There is nothing on this earth that is so bad we cannot be forgiven for and Christ proved that when He forgave the very people with His blood still on their hands after nailing Him to the cross. Can your soul feel its worth after PTSD? Yes it can. Many want to be made whole after they begin to heal, to be the way they were before but this won't happen. No event in our lives allows us to be the way we were before. We are forever changed by it but in turn, healing has that same ability. Humans can come out on the other side of this darkness better, stronger, happier, kinder and better than they were before. The ability to heal is already within us but we need help finding it, getting it to work and support to arrive on the other side of this abyss. "The weary heart rejoices" when the pain locked away is healed. When families begin to understand so they can help with the healing and friends are able to understand enough they stay by your side instead of feeling as if you've shoved them away. "A new and glorious morning" comes when you find out that you are safe to feel love, hope and compassion again and be true to the soul within your body. When you know evil comes from evil and good comes from God. When you are able to see past the image frozen in your dreams and you can see it all from beginning to end knowing you survived for a reason even though friends were welcomed back home into the Kingdom of Heaven for another reason. The pain you feel is not from weakness but from the strength of your soul and the ability you have to love others. Let your soul feel its worth and begin to heal from within. Christmas is about love, the gift of love from God to the world and to you. It is about miracles that can happen and hope arriving when we need it if we reach for it and ask. Talk to your family and let them know what you've been trying to hide. Let them know you need help to find yourself again and that your soul is still in there behind the pain. As Danny Claricoates was walking past some roadworks last week, a workman switched on a tarmac-flattening machine. He froze. Sweat began to pour off him and his heart started to race with shock. He could hear the unmistakable sound of an incoming Chinook helicopter. He was back in Afghanistan on November 12 last year as the vehicle in front of him blew apart, then weeping as he carried the bodies of two close friends to a waiting helicopter. Danny is trapped in a dystopian version of Groundhog Day. Particular sounds trigger the same flashback, and though the experience is always the same, it never loses any of its horror. It is deeply debilitating. He is perpetually on edge and unable to shake off deep feelings of guilt. What makes Danny unusual, however, is that not only is he willing to talk openly about the still-taboo subject of post-traumatic stress disorder (PTSD), of which he now has a diagnosis, but that he is also a winner of one of Britain’s highest awards for gallantry: the Military Cross. In 2007, aged 27, he spent seven months in Helmand. All but five weeks of that time was spent on the front line. He was awarded the MC for his exceptional courage under fire on three occasions. When Danny returned from Afghanistan he was, his mother said, a different person. He was troubled, above all, by a sense of guilt. There had been a moment when a Marine was hit beside him and Danny didn’t stop to help him. The man was only shot in the wrist but Danny always blamed himself. WACO, Texas — Retired Col. Robert Lewis Howard, a man considered to be the country’s most decorated soldier, died Wednesday. He was 70. Howard was battling pancreatic cancer and died about noon at a hospice, his friend Benito Guerrero, a Vietnam veteran and retired sergeant major, told the San Antonio Express-News. The Army veteran died in Waco, according to Oak Crest Funeral Home. At the time of his death he was the most decorated American soldier, the funeral home obituary said. He will be buried at Arlington National Cemetery with full military honors. No date has been set, the funeral home said. Howard grew up in Opelika, Ala., and served in the Army from 1956 to 1992. He was part of the U.S. Army Special Forces, known as the Green Berets, and ran cross-border operations in Laos, Cambodia and North Vietnam. He was wounded 14 times in Vietnam and was awarded eight Purple Hearts. He was nominated three times for the Medal of Honor, the nation’s most prestigious award for combat veterans. President Richard M. Nixon presented him with the honor at the White House in 1971 for his bravery in Vietnam during a mission to rescue a missing soldier in enemy territory. Saturday, Dec. 19, 2009 9:51 p.m. When Carlos Rivera returned from fighting in Iraq and found work as an electrician, he felt co-workers who knew about his military experience were gawking at him. He went home angry each day. That's not a problem at his current job working alongside other combat veterans picking avocados, mixing organic fertilizers and gathering basil amid northern San Diego County's undulating ochre hills. "I'm outdoors, not stuck inside somewhere feeling suffocated," said Rivera, 25, who returned from Iraq in 2007 after four years as a Marine. "There's always someone to talk to, someone there to understand." Rivera works at Archi's Acres, a 3-acre high-tech organic farm owned by Colin Archipley, who served three tours in Iraq and is trying to help other combat vets shake the trauma of war by turning swords to plowshares. Working the earth has long been recognized as good therapy for war veterans. About 20 U.S. Department of Veterans Affairs centers have gardening programs, said Anthony Campinell, the VA's national director for work therapy programs. He said Archi's Acres is the only fully commercial enterprise of which he was aware. The $15,000 that former Army Pvt. Margaret Ortiz had in the bank when she left Iraq is long gone, spent on alcohol and cocaine. By the time she found her way to a program run by the nonprofit U.S. Vets for homeless female veterans in this Southern California city, she had slept in San Diego on the beach or anywhere she could find after a night of partying. One morning, she woke up behind a trash bin, her pants torn, with no memory of what happened. "You knew something was wrong with you, but you didn't know what was wrong with you. Nobody knew, and so you couldn't really handle it," said Ortiz, 27, from atop her twin bed in a plain dorm-style room, a black 4th Infantry Division ball cap on her head. They're younger than homeless male veterans and more likely to bring children. Their number has doubled in the past decade, and there are an estimated 6,500 homeless female veterans on any given night -- about 5 percent of the total homeless veterans population. For the first time in 22 years, Sheryll Pearson won't put up a Christmas tree. Suddenly, the holiday she's always loved is "horrible." Pearson's son, Mikey — Army Pfc. Michael Pearson, 22, who specialized in defusing bombs — is dead, gunned down last month in the rampage at Fort Hood, Texas, that killed 13 people and wounded more than 30 others. Maj. Nidal Hasan, an Army psychiatrist, is charged with the slayings. 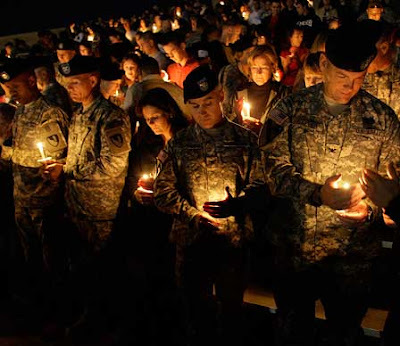 For families of the victims, for the injured and for the many who call the post at Fort Hood home, the Nov. 5 tragedy remains a fresh, stinging wound in what should be a joyous holiday season. Injured soldiers are wrestling with rehab as their units deploy overseas. Soldiers who live at Fort Hood have put on a brave face as they regain their sense of security. Professional counselors and chaplains are trying to help everyone make sense of it all. EATONVILLE, Wash. -- With candles in hand, dozens of local residents gathered on Tuesday night to pray for the two Pierce County deputies who were shot at a home near Eatonville on Monday night. Pierce County sheriff spokesman Ed Troyer said Deputy Kent Mundell and Sgt. Nick Hausner ran into trouble after responding to a domestic violence call. Investigators said David E. Crable was concealing a gun in clothes he was holding and fired about 10 shots at the two deputies from just a few feet away. Mundell, 44, was hit multiple times, but managed to shoot back and kill Crable, Troyer said. Friends say Hausner served in the U.S. Marine Corps before joining law enforcement. WASHINGTON — Universities and colleges are still waiting for tuition payments for thousands of Iraq and Afghanistan veterans who attended school last fall under the new GI Bill, leaving the veterans panicked that they'll be unable to return to class in January. Veterans Affairs Department officials promise to get them back into the classroom. The VA says the number of veterans with claims unprocessed is now fewer than 5,000 – down from tens of thousands – and the goal is to have them all processed by the end of the year. "We continue to work on a daily basis with schools to make sure that no student is denied attending class as a result of delayed tuition payments," Katie Roberts, a VA spokeswoman, said Tuesday. "It's a top priority for VA to make sure that students can focus on their studies rather than their bank accounts." But after being besieged by delays and financial hardship last semester that left them struggling to make rent payments and pay for textbooks, many veterans are frantically contacting veterans service organizations such as the Iraq and Afghanistan Veterans of America for guidance. Clay Hunt, a former Marine corporal who served in Iraq and Afghanistan, attends Loyola Marymount University in Los Angeles. He said he and his wife have racked up about $4,000 in credit card debt because his university won't release student loans he needs for living expenses until tuition is fully paid. Hunt, 27, said under the GI Bill the school is still owed about $6,000 and he personally is owed about $1,700 for housing and books. "I am disappointed about it," Hunt said. "I'm very disappointed about the way it was implemented. I feel like the VA had ample time to figure out how they were going to disperse these payments and make sure this transition to the new GI Bill went smoothly, and they definitely failed to do that." A Veterans Affairs Department clerk met with President Barack Obama at the White House Dec. 21 as a reward for her idea on how the VA can save money. Nancy Fichtner, a support clerk at the VA hospital in Grand Junction, Colo., won the Securing Americans Value and Efficiency (SAVE) Award for her idea on how to cut waste at VA medical centers, according to the White House. Partially used medical supplies, such as inhalers and eye drops, used at VA hospitals are thrown away when veterans are discharged, according to White House officials. Fichtner’s idea is to find a way to let patients to take those supplies with them after being discharged. It didn’t take long. Just three days ago Stars and Stripes broke the story that the commander of United States forces in northern Iraq had threatened to court-martial military personnel under his command who became pregnant, or impregnated someone else. The order applied also to married couples who are deployed together. But on Tuesday, the commander, Maj. Gen. Anthony A. Cucolo III, told ABC News that he would use only lesser, nonjudicial punishments to enforce the order. Courts-martial can lead to loss of all benefits and jail time. “I see absolutely no circumstance where I would punish a female soldier by court-martial for a violation … none,” General Cucolo told ABC News.